After you have taken horseback lessons for long enough to determine that you want to own a horse, follow these tips when you go out looking. By now, you realize the financial commitment necessary to continue in the sport. It only begins with horseback lessons. By the time you have decided to buy your first horse, you hopefully understand the financial commitment and time management factors involved. 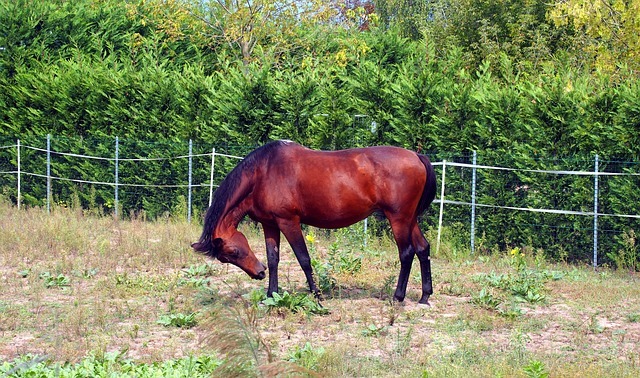 James from Parking Lot Striping Raleigh has some great tips you should follow when looking to buy a horse. Do not be influenced by the seller when he says that you ought to go ahead and make an offer because someone else is coming that afternoon to see the same horse and he will likely be gone. Think of buying a used car. It’s the same tactic. And, if someone else buys the horse, there will be another one. Wait on the right horse and do not be pressured into buying until you are ready. Do not discuss your budget or the price of the horse in front of the seller. This should be clear enough, but somehow our common sense blows out the window when it comes to our passion….horses. Keep the seller on his toes and do not let them feel too comfortable that you can afford this horse. Do not show your enthusiasm to the seller if you are in fact very interested in this horse. Also, be sure your child understand the same. This includes the most important rule that you never go to see a horse with your trailer in tow. The seller will salivate! Be sure the seller and your child understand in advance that you will not buy any horse until your instructor has approved it. That will reduce the level of pressure exerted on you, the buyer if your instructor is not there. If the seller will not negotiate off the price ask for other concessions. Perhaps the seller would agree to deliver the horse for no additional fee, or include tack, blankets, or other equipment. Do not worry. These are industry standard practices, and you will not insult the buyer. Expect to pay a sales commission. Your instructor will likely charge a buyers commission. This is a source of revenue for instructors, in addition to horseback lessons. Furthermore, the seller may have an agent working on his behalf as well. This charge may be in addition to any fees already charged. Commission rates typically run from 10-20% of the purchase price but are fully negotiable along with way. Do not ever buy a horse without a vet check. Too many people bypass this critical step. Choose a veterinarian who does not already know the horse and is an independent third party. Attend the vet check yourself if possible and participate as the vet comments on his findings. Do not expect the vet to “pass” or “fail” a horse after his tests are complete. They rarely want to be placed in that position. Rather, the vet will report his findings to you, but you will be the ultimate decision maker. After you and the seller have agreed on a price and the horse is shown to be sufficiently healthy, enter into a written contract with the seller which clearly states all the terms of your purchase. Do not leave your business sense on the kitchen table just because horses are your hobby, not your business. All terms and conditions should be spelled out and any warranties outlined in writing. Verbal contracts are worth the paper they are written on.